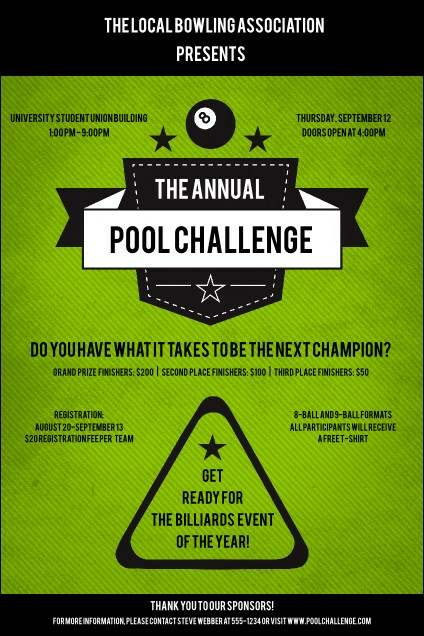 Position yourself for event success when you post the Billiards Poster before your tournament. The jungle green background looks like the felt of a pool table, with a rack outlining event details in black. Enter twenty-two lines of event information into the easy template and we'll send them your way.